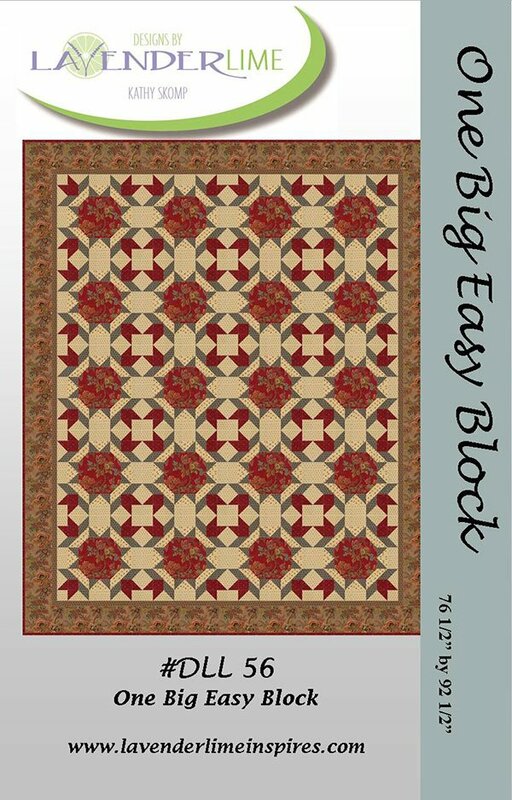 One Big Easy Block by Kathy Skomp for Lavender & Lime DLL56. Quilt Size 76-1/2" x 92-1/2". Yardage friendly. Features Pumpkin Pie fabric by Moda.